Nanotechnology uses are expanding the possibilities and practicality of an alternative energy future. With huge changes occurring in nanotechnology capacitors storing and using alternative and electrical energy is being simplified. Knowing of these changes also broadens the possibilities for future alternative energy developments. We can look more openly and widely at new ideas when we know how we can harness even very intermittent energy sources. Some of these storage possibilities are covered in a presentation by Mr Yi Cui, Associate Professor of Materials Science and Engineering at Stanford University on nanotechnology use in batteries and supercapacitors. As mentioned in the section on nanotechnology type batteries capacitors store their energy as an electrical charge while batteries do it as a chemical reaction. As is also explained in the battery nanontechnology page, the differences between batteries and capacitors are decreasing. Generally batteries have been able to hold a significantly greater amount of energy per unit weight. Capacitors can charge and discharge faster than batteries. 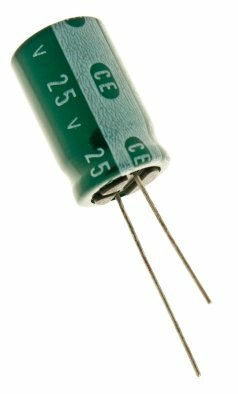 Therefore capacitors are ideal for sudden high demand situations requiring large amounts of power in a short time. As they can be charged rapidly, transferring energy from say the breaking of a car can be stored more efficiently by capacitors. However capacitors do not tend to store power over time so securely. Capacitors can function efficiently even at very low temperatures. They can charge and discharge repeatedly over multiple years without deterioration in function. Computer boards and other applications requiring backup power have used capacitors for years. Essentially capacitors are made from a couple of plates (each carrying an opposite charge) separated by a non-conductive material. Changes in materials technology including new nanotechnology uses have changed the design. Two materials can abut each other with an effective non-conductive junction. But the basic idea is still the same. Greater capacity so-called ultracapacitors have been around since the 1960s. But their huge size limited their use. Newer ultracapacitors employing ideas from nanotechnology uses allow for a decrease in size with an increase in power. Dramatic decreases in prices have resulted. Over the last ten years an equivalent capacitance ultracapacitor has fallen to one hundredth of its prior cost. 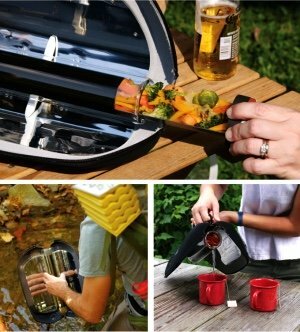 Such technology is already practically employed in alternative energy ways in several countries and applications. A fleet of buses has been running on capacitor technology in Moscow from 1995. In Asia cranes at some seaports are using them. A couple of European trains and even garbage trucks in the USA utilize ultracapacitors. A bus route in Shanghai runs over short distances with regular overhead recharging with capacitor technology. Longer sections of the bus route use battery power. Established companies are using carbon powder fused to aluminium foil to improve capacitor function. Others have etched channels into a carbon base to increase the effective usable surface area. An interesting British origin demonstration of nanotechnology uses in making a supercapacitor very simply with detergent and some nickel oxide is shown here. 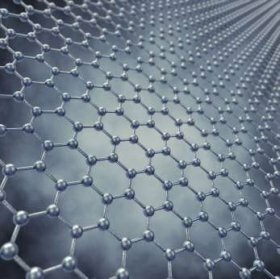 Further developments in nanotechnology uses for supercapacitors have used graphene - the single atom thickness carbon molecule lattice. As capacitor energy storage is directly proportional to area and inversely proportional to the distance between the two layers, having an atom-wide separation between the layers maximizes the power. Graphene sheets can be rolled to massively increase surface areas still within a limited volume. In one of the new nanotechnology uses ideas from Cornell University, boron nitride has been sandwiched between metallic graphene layers. This has produced much higher capacitance per unit weight. Similarly using carbon nanotubules enables massive increases in power applications. Nanotubules allow for the creation of much higher voltage units. Suddenly the energy density of nanotechnology capacitors is approaching that of lithium ion batteries - our curently most energy-dense rechargeable storage units. But they bring the extra benefit of being able to charge and discharge more rapidly. In the past hybrid and other electric cars have begun using capacitors for rapid acceleration and other similar high demand uses, reserving batteries for lower demand sections of the trip. With the changing functionality of nanotechnology capacitors, these are looking to be a viable alternative to batteries, offering even lighter alternatives. In March 2009 researchers from the University of Maryland and the Korea Institute of Science and Technology announced the development of a new supercapacitor. It consisted of 10 billion nanoscale capacitors within a square centimetre. This produced a 250 times greater surface area to conventional capacitors of comparable size (with power being proportional to area). To build it they anodised a sheet of aluminium foil. This created regularly spaced nanopores across its surface. Each pore was 50nm (nanotechnology being defined as employing units under 100nm in size - about the diameter of a virus particle) in diameter and up to 30 micrometres deep. 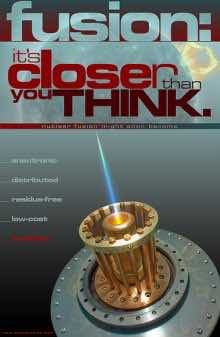 They then sandwiched two layers of titanium nitride (TiN) separated by an insulation layer through an atomic depositing technique. A further layer of aluminium foil was placed over top of this. The foils formed the electrical contacts for the capacitor design. In these nanotechnology uses the prototypes in 125 micrometer wide arrays each contained a million nanocapacitors. The team was still investigating how best to connect them for commercial use. Other ideas for capacitors from nanotechnology uses are employing the unique material of aerogels, illustrated in this Quest material report. Created from gels where the water-based part of the gel is dried, these create an incredibly strong, lightweight and highly insulating material useful in a number of applications. The base element for the aerogel can be altered according to requirements. One limitation with aerogels so far is the voltage difference that can be effectively stored across it is relatively low. However capacitors can be connected in series to increase total voltage according to requirements. Nanotechnology uses for producing highly efficient and effective nanotechnology capacitors are showing many exciting areas for the future. They will prove invaluable not only in transport applications but also in storing intermittently produced energy and smoothing power supplies according to demand.